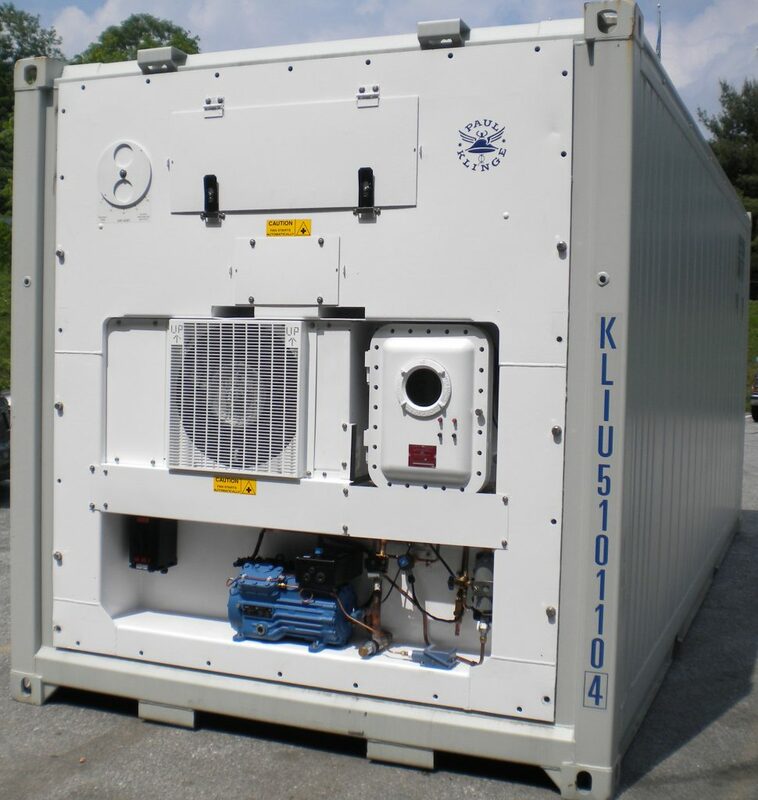 Responding to the growing demand for ATEX Directive certified equipment, Klinge Corporation is launching their new Group II, Category 2 Explosion-Proof Refrigerated Container. The Explosion-Proof Refrigerated Container, Model PFR-581 Z1, is certified to the ATEX Directive which contains stringent safety regulations for equipment used in potentially explosive atmospheres. The system offers a high level of protection in dangerous operating conditions or areas with frequently occurring disturbances. Group II equipment is intended for use in places likely to become endangered by explosive atmospheres. Category 2 equipment is designed for areas in which explosive atmospheres are likely to occur. The PFR-581 Z1 is suitable for Zone 1 hazardous locations in accordance with EN 60079-10. The ATEX Directive Group II, Category 2 refrigeration equipment is mounted to a container certified to DNV 2.7-1/EN 12079. The container certified to DNV 2.7-1 is designed to comply with the most stringent offshore regulations to ensure the safety of personnel working on oil rigs and oil tankers, as well as the environment. Klinge Corporation also offers Group II, Category 3 equipment with its Zone 2 Refrigerated Container and Zone 2 Tank Container in accordance with EN 60079-10. Fill out the form or call +1 717-840-4500 to learn more. If you already know what you need, you can Request a Quote or Request Service from Klinge Group today!